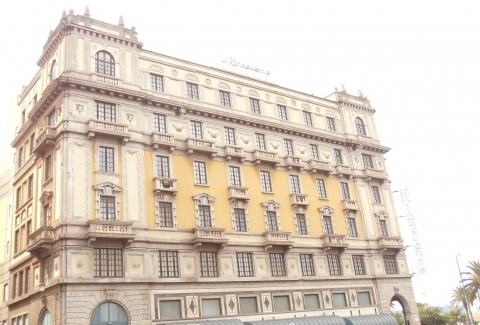 This impressive building is located at the corner of Via Roma and Largo Carlo Felice, in a perfectly symmetrical position to the Town Hall. The construction works started in 1925 and ended five years later, making it one of the most manifold works of all the buildings under the arcades that follow one another along the Via Roma. The building is structured onto several floors, separated from each other with frames. Above the cornice, next to the three main openings placed in the middle, a tympanum is visible, which is unique compared to all the adjacent buildings. The building is completed by Neo-Mannerist style decorations.